Scheduled tours of JCAP’s headquarters and primary laboratory facilities in Pasadena, California, are available to student groups (grades 10 and up) and members of the research community with advance reservations. Scheduled tours of JCAP’s North laboratory facility in Berkeley, California, are also available for members of the research community with advance reservations. To arrange a tour, please contact visit@solarfuelshub.org at least two months prior to your planned visit. JCAP’s headquarters and primary laboratory facilities are located in the Jorgensen Laboratory building at Caltech in Pasadena, California. Directions and campus maps to Caltech can be found here. Upon arrival at Caltech, please proceed to building #80 near the corner of Holliston Avenue and San Pasqual Street. Visitor parking is available in Parking Structure #4. The Laboratory is in Berkeley on the hillside directly above the campus of the University of California at Berkeley. Directions and maps can be found here. 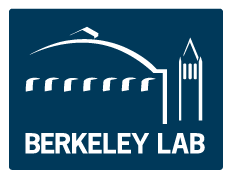 To make the Lab easily accessible, the Lab has its own shuttle service that takes people around the site and to downtown Berkeley and the BART station there. Parking spaces are difficult to find here and you will need to prearrange for a parking permit from the person you are visiting.